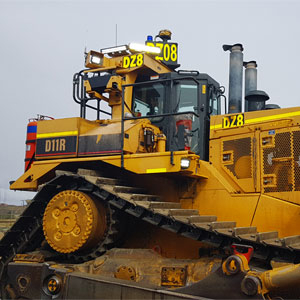 Click through & discover why we are Australia's fastest growing Auxiliary LED Driving Light company. 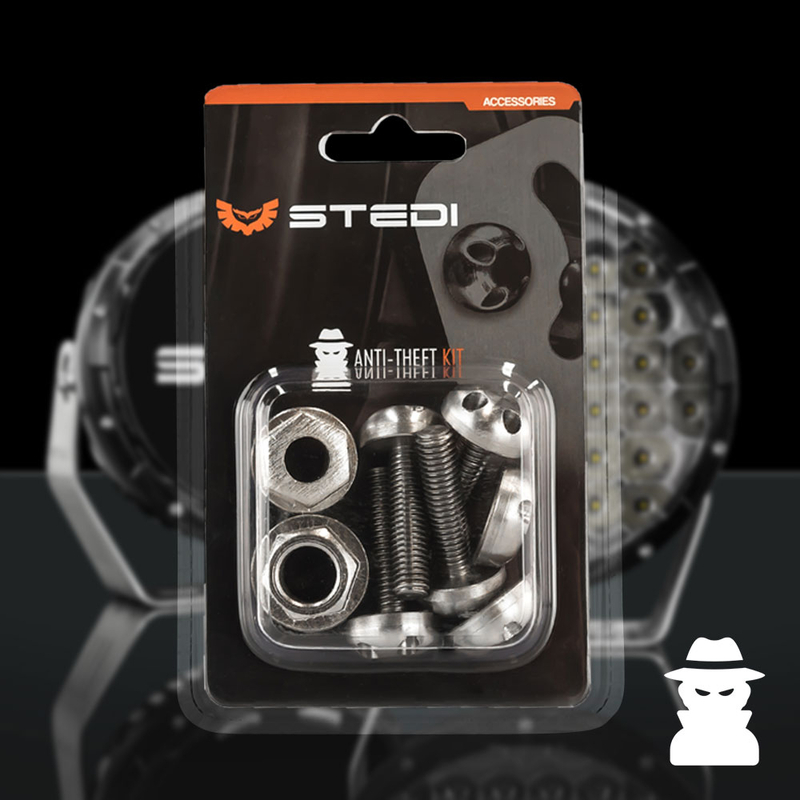 If you have wondered how to wire your LED Light Bar or Driving Lights to your high beam, you will have quickly discovered what a mine-field it can be. 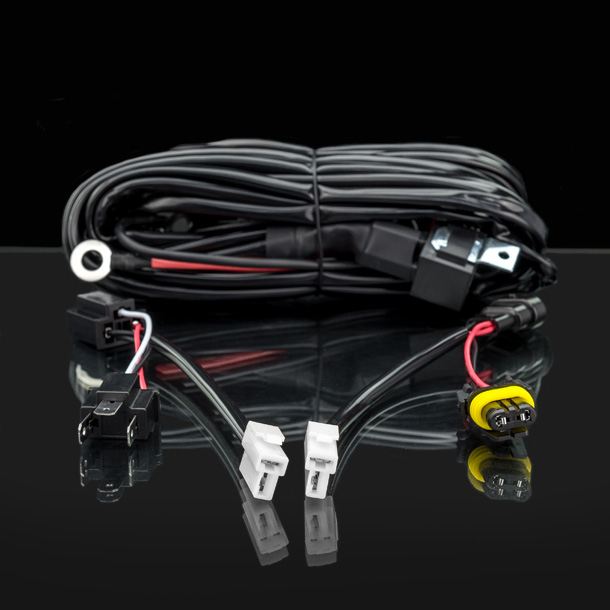 Particularly for vehicles like Toyota Hilux, Ford Ranger, BT-50 and many of the modern Nissan 4x4's which have negatively switched wiring system making it very difficult to wire correctly. 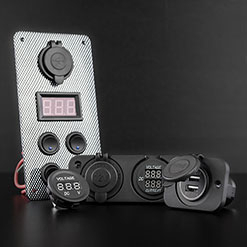 Our Quick fit to High Beam plug & play harness takes the guess work out of it. No cutting, splicing or grafting literally just Plug & Play. 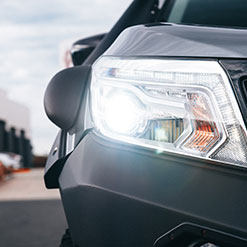 Your headlights are your main line of defense to avoid road hazards during night time driving. 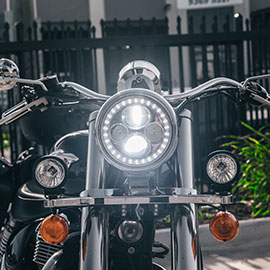 In our LED conversion category you will find LED headlight conversion kits which vastly improve night time visibility. 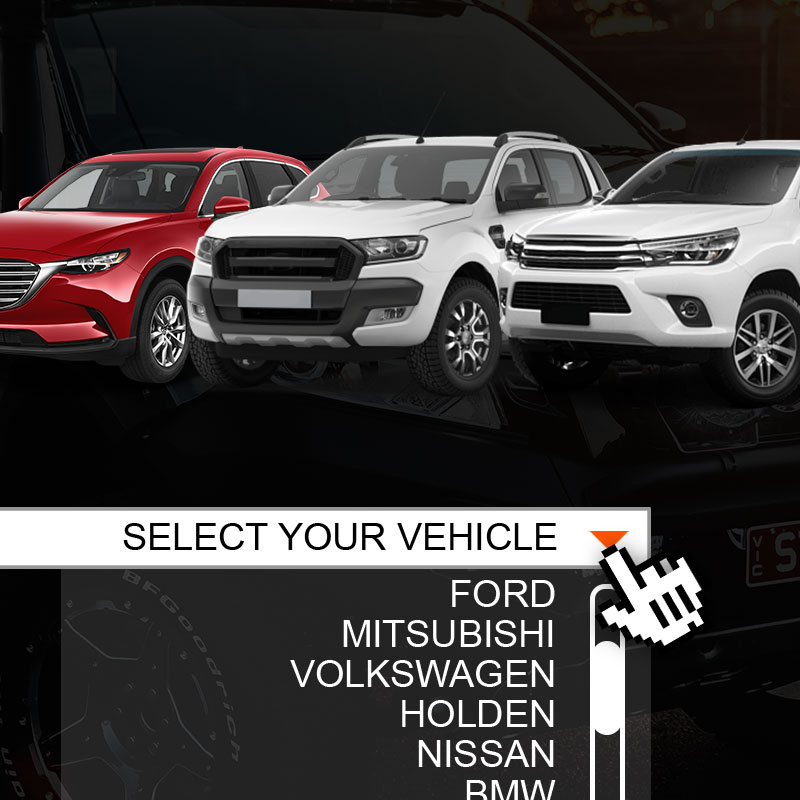 Shop by LED base type or vehicle make & model. 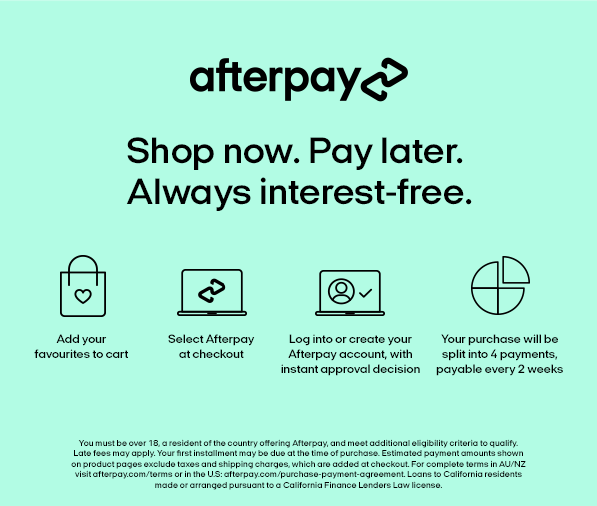 Shop our application specific range of LED work lights and driving lights. 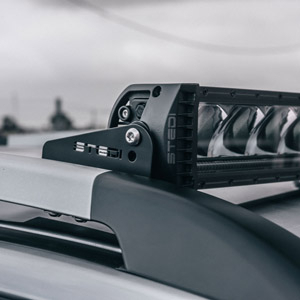 LED Light Bar mounts to suit Rhino Rack Platform. 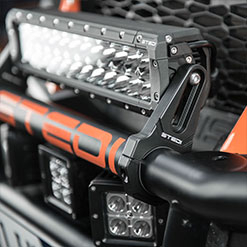 We may be a little bias, but we think this is the sleekest Rhino Rack™ LED Light Bar mounting solution on the market. 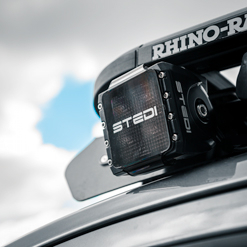 Designed by STEDI to specifically to suit the Rhino Rack™ Pioneer Platform. This is the only solution on the market that is a 100% bolt on, that will accommodate light bars up to to 43" / 1092mm. Manufactured using 4mm thick stainless steel. 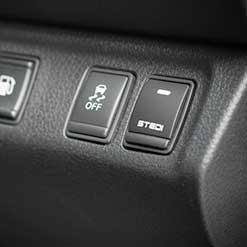 The light bar mounting points are slotted allowing height optimisation of light bar. 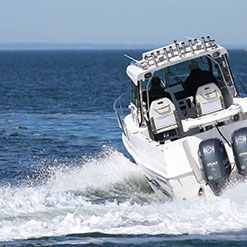 Ability to slide the mounts backward and forward along the platform channel. 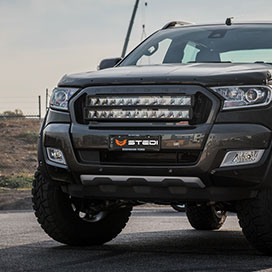 WILL SUIT LIGHT BARS WITHIN THE FOLLOW LENGTHS. Keep in mind that the distance between the underside of the Rhino Rack™ and your vehicle roof will vary from make and model. 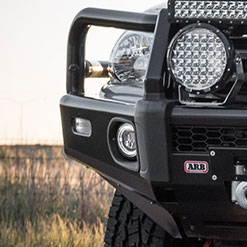 Before committing to purchase we recommend you cross check dimensions of the light bar against the clearance available on your specific vehicle. 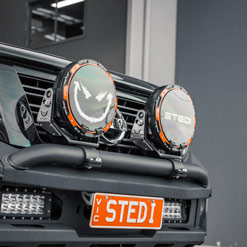 STEDI Designed & Manufactured: This product is not endorsed by, directly affiliated with Rhino Rack™. All product and company names are the registered trademarks of their original owners. The use of any trade name or trademark is for compatibility and reference purposes only and does not imply any association with the trademark holder of their product brand.